The Brooks Team, led by Jim Brooks, is composed of high rise real estate experts from Las Vegas who will help you acquire luxury condo units at The Signature at MGM Grand! 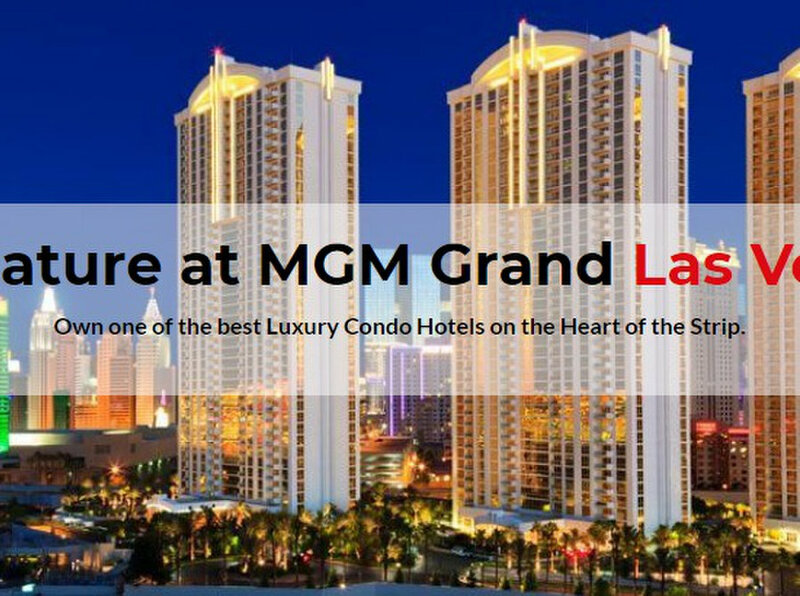 We have been assisting clients buy and sell more than 900 units at The Signature at MGM Grand since 2006. The Signature at MGM Grand is an all-suite, casino-free high rise complex situated inside the sprawling vicinity of the MGM Grand Condos Las Vegas Resort that is composed of three 38-story towers. Each tower houses 576 fully furnished units, and are all equipped with private pools, restaurants, lounges, fitness centers, and concierge services. It offers a tranquil place for families who want a peaceful neighborhood without being too far from the urban lifestyle. With the countless high rise grand condominium offerings in Las Vegas, it can be a challenge to choose one. However, The Signature at MGM Grand Condos promises an elegant and exhilarating lifestyle through its amenities and flexible occupancy deals. To get in touch with The Brooks Team for your The Signature at MGM Grand inquiries, you may call us at (702) 805-0808 or visit our office 51 Puerto Azul Trail, Henderson, NV 89074.